Today is John's High School graduation! Both Dave and John have been waiting 18 long years for this day! (although I really don't think John was really happy about it until this year, when reality set in). 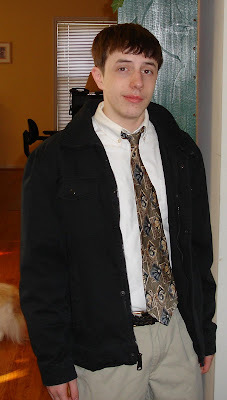 Here's a picture of the graduation boy, taken by Dave several months ago. To be all that is possible we must attempt the impossible. To be all that we can be, we must dream of being more. 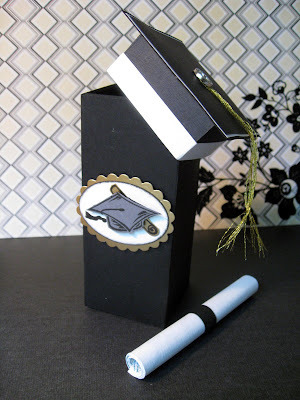 When I complete the tutorial for the box, I'll post a link. 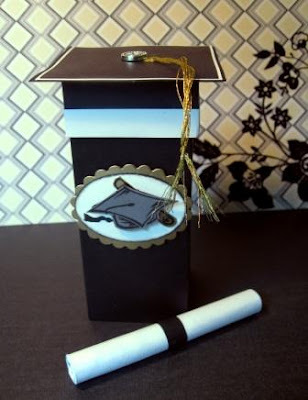 The cap/diploma image is from Hanna Stamps, the Hanna graduation set. 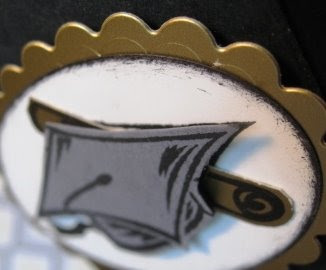 I layered it with gold scalloped (Nestability) and basic gray cardstock. 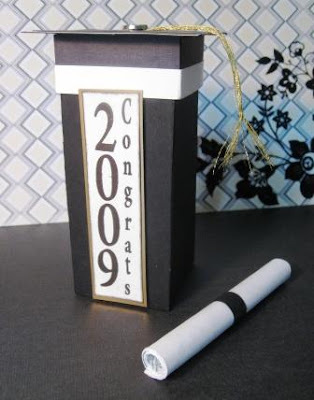 The "2009 Congrats" uses Justrite's vertical stamper and the Times New Roman font set. 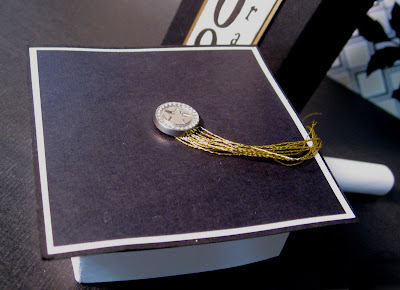 I used gold embroidery floss for the tassle, and a star brad from Stampin Up! congrats to your son, and to you! this box is awesome! Wow! He should love this! Congrats to surviving 18 years!